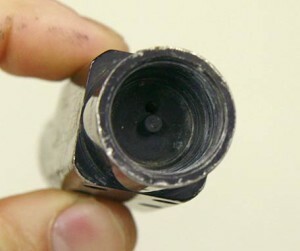 I dug up these photos of a Field Rental Only Gun’s (FROG) bottomline regulator broken down for Jake “Superman” Berenyi. Jake posted photos of his Nova’s regulator broken down on facebook and was looking for help rebuilding it. The FROG is a mechanical Mayhem. Although these photos are from a ACI sports PGI bottomline regulator, these are pretty close internally to the internal regulator that the Nova featured internally. I couldn’t post these photo all at once in a response on facebook so I’m putting them up here. 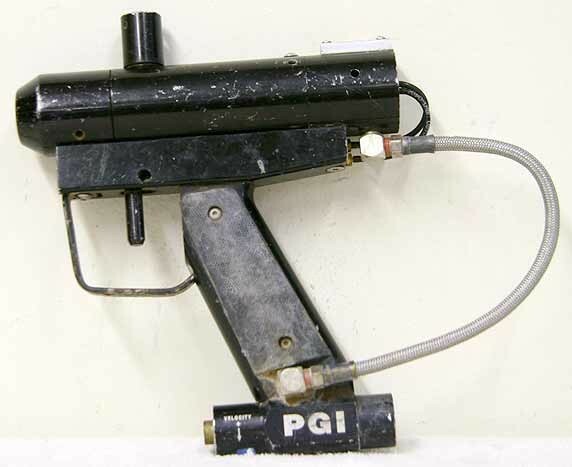 Here is an extremely bad shape PGI FROG with the Regulator on the bottom of the grip frame. This FROG likely sold a while back, I just had the photos saved from a previous article. Close up on reg internals arranged as they go back into the reg for the PGI Frog. And here are the regulator internals as they were pulled out of the Bottomline reg. 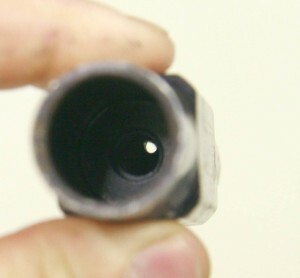 Internals from a PGI FROG’s bottomline regulator. Reg broken down view. Here are the internals spread out to show each piece. I think the back reg seal is likely just a Urethane cylinder that could likely be restamped. Inside front view where regulator internals go inside FROG regulator. Focus on front of internal area. And a inside view of the Regulators empty internal area. Inside front view where regulator internals go inside FROG regulator. Focus on back of internal area. And another shot with the focus adjusted for the back empty area where the spring sits against. Back ASA on FROG PGI or ACI Sport Regulator. 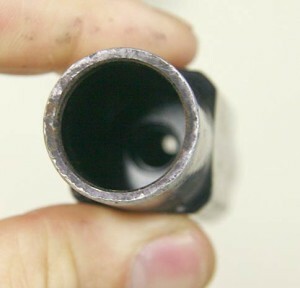 And the ASA threaded opposite side on this reg. ACI Sonic Griffen, which was advertised in APG around 2000. 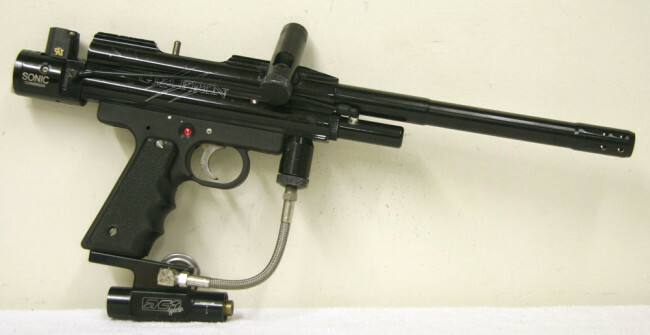 The ACI/PGI Bottomline regulator is actual used on this paintgun. These regulators are also found on the ACI Sonic Griffen electronic conversion kit. Hope these photos help someone. The Sonic kit turns an ACI Griffin semi automatic into an electronic pneumatic. This kit was likely built with Leon Styles of PGI and was sold around 2001. Two ex rental PGI Frogs which will be listed on the site eventually.